Men blending their voices in perfect harmony! Whether it’s four men or forty, there’s nothing like the joy of singing or hearing a ringing chord! 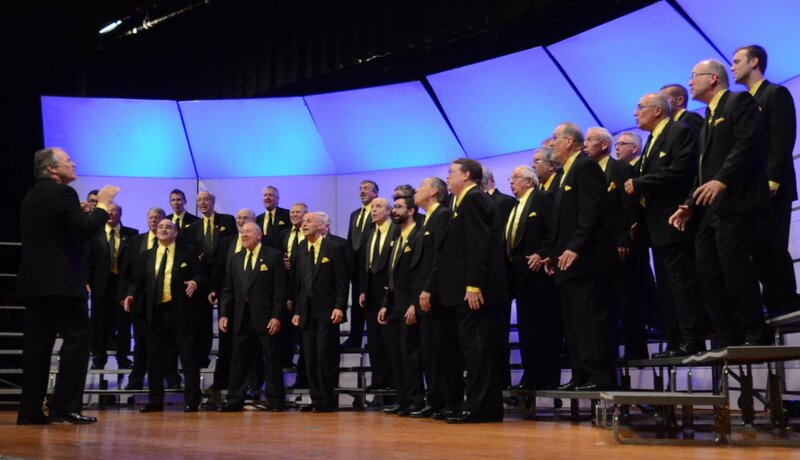 The Gold Standard Chorus is Charlotte’s premier men’s a cappella organization. We specialize in singing a cappella’s most fun, beautiful, and challenging form: 4-part harmony. We’re proud to be the 2016 Carolinas District Chorus Champions! We’re a group of guys who love to sing. We like being together and we get a kick out of making music together. Our performances are a guaranteed good time. We’ll bring a smile to your face and a song to your heart. Through our singing and outreach we’re dedicated to enriching lives within our chorus and throughout the greater Charlotte community. The chorus sings a wide variety of music, from contemporary and pop to musical theater and patriotic to everything in between. We perform a variety of styles of music and we celebrate singing in the rich American tradition of barbershop harmony. We’re the Gold Standard Chorus. Come hear us or come join us. Either way, we promise you’ll have a blast!